Satmar Holocaust survivor leaves behind 2,000 descendants | Hipsters and Hassids: The painting series. The phenomenon. 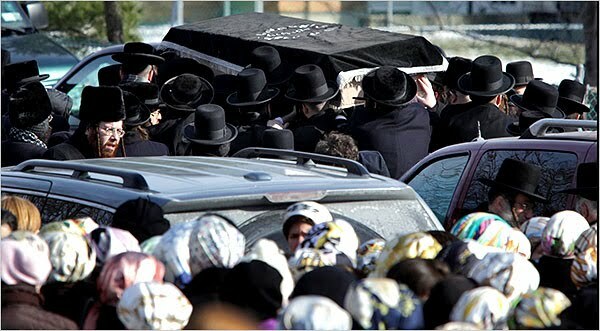 Mrs. Schwartz was a member of the Satmar Hasidic sect, whose couples have nine children on average and whose ranks of descendants can multiply exponentially. But even among Satmars, the size of Mrs. Schwartz’s family is astonishing. A round-faced woman with a high-voltage smile, she may have generated one of the largest clans of any survivor of the Holocaust — a thumb in the eye of the Nazis…..